Modern, formal, funky, classic, exotic, low maintenance, not sure? Whatever you're looking for from your outside space we can design a garden that's just right for you. Whether it's a small courtyard or a large extensive plot, a professionally designed garden is a fantastic investment. 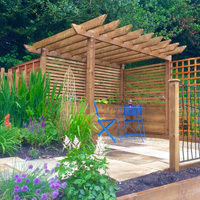 Plus it needn't be expensive either - clever design and thoughtful planning is the key to a great garden, so whatever your budget we can always provide the best solution for your needs. 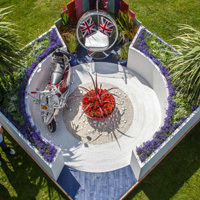 Planning a garden makeover? Choose us to design and landscape your garden before May 2018 and we'll produce your unique design free of charge worth up to £250. 1. We start with an on-site consultation where we discuss your individual requirements, and using our design, landscaping and horticultural knowledge will take you through the process of bringing your garden to life. 2. Then, working to your budget, we will carry out a full site survey, and using the latest design technology produce detailed drawings and plans to scale which will include your personal choice of hardcsape materials and plants. 3. Finally, we provide a detailed estimate for the work to be carried out including all material costs, and then arrange a start date for the project.